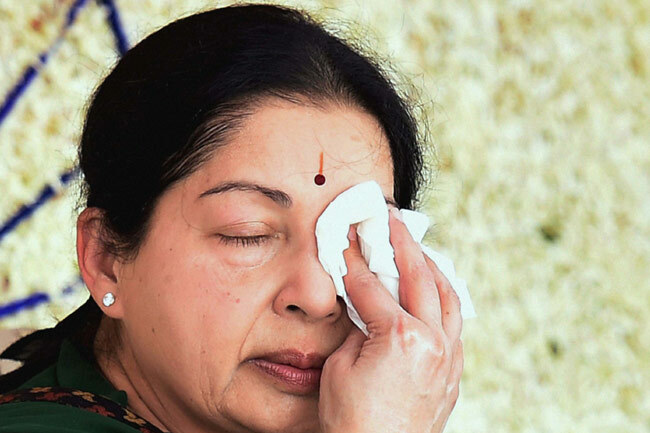 It was a harsh news for Tamil Nadu state when Jayalalithaa Chief Minister of Tamil Nadu was convicted of disproportionate assets case. The case of corruption was raised by Dr. Subramanian swamy a leader of B.J.P. Jayalalithaa was CM of TN from 1991 to 1996, 2002 to 2006 and 2011 to 2014. She revealed that while CM she had taken her salary as 1rs then how come she can have such a huge amount of assets. She was elected 3 times as CM of TN. Jayalalithaa was an actor and then she turned into politician. She is popularly known as Amma in TN. Amma has worked in more than 100 films. She is also known as goddess as the people there treats her. She has millions of followers. Ramachandran former CM of TN brought her into the politics. She has claimed this as wrong but as per the sources it was true. She is the General Secretary of the AIADMK party. Amma has done lots of things which made her millions of followers. She had started giving cheap idlis, salt, Rice, laptops, computers, baby care kits etc. Jayalalithaa was convicted of disproportionate asset case of having 12000 saris, 2000 acre land, 30 kg Gold, 890 kg Silver and many more items which was inspection by Income Text Department. This case took 15 years to give the result. After this decision on 27th September’2014 there was a type of curfew in the Tamil Nadu. People everywhere started protesting and they started criticizing the oppositions. The Supreme Court sentenced her to 4years non-bailable jail and 100Cr. Fine. Now she is trying to appeal about the result in High Court but there was no response as the result of this case was paused for 5 days. Paneerselvam has succeeded her as the new CM. He is the most trustable person of her party so he had been elected by the members of their party. He was the former CM in 2001 to 2002 of TN. She has done lots of good work for the poor people so she was favorite amongst the Tamil people but nevertheless there were some opponents. Now let’s see what do High Court announces for her bail.